For all those visiting this hypnosis site, you must first come to the understanding that all hypnosis, is self hypnosis, and we have lots of free self hypnosis stuff here for everyone, and more free self hypnosis stuff will be soon made available, along with more free self hypnosis stuff on an onging basis, but first I have a few questions. Do you have Dreams and Desires for the present, or your future. Do you have expectations for yourself. And last but not least, do you have the Belief that your Dreams and Desires in life are possible, if only you had that little something extra. If you answered YES to the above three questions, just sit back, take a deep breath, relax and smile, because with a little of my help, using a little of that sweet magic called hypnosis, you have all you need to live your dreams true using some wonderfully relaxing Hypnotic Advancements. And for those who are having a little trouble with the part about "Belief's", we can work on that to. The goal of this site is to help insure that YOU get what you want in life easily. On this hypnosis site, you will find plenty of information on both Ericksonian Hypnosis, and traditional hypnosis, and hypnotherapy, as well as a number of products such as therapeutic and life enhancing hypnosis recordings designed to make your desires easily achieved, some might even say magically. You will find free hypnosis scripts, information and articles on the structure of hypnotic language, often called the "secrets of hypnosis", a section dedicated to the different applications of hypnosis, plenty of information on self hypnosis, and much, much more including a new Ericksonian Hypnosis yahoo group for you to join, to help make your life easier, and far more fulfilling. Believe it, and let me, Dr.Frank Valente help you, Live Your Dreams True. Stephen Josephs, Marilou Seavey, Gerald Seavey, and Wayne Topher Morrison. Frank Valente first became interested in hypnosis and the minds psyche, when as a teenager he experimented with out of body travel during his first experiences with trance. 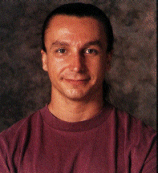 Frank has experience in many types of hypnotic styles, NLP changework techniques, and specializes in the naturalistic methods of Ericksonian Hypnosis techniques. Frank's other life-long passions include the martial arts (Muay Thai Boxing specifically), investments, consulting, and empowering others with the gift of learning how, when, and where to get what they desire. If you can't find him in Toronto, he's probably off climbing some coconut tree far off under the sun. If your experience with hypnosis is limited or you simply want to accelerate the effectiveness of your hypnosis sessions, and improve your life beyond perceptible measures, just click the link below for your free demonstration with this new state of the art program.